GM produced its Vortec series engine in more than one generation. The power upgrades that were made from year-to-year helped to boost sales of pickups and SUVs that used the 5.3. The torque and horsepower that this variant is known to provide is one of the reasons it is so in demand as a rebuilt edition. You’ll find the Chevy 5.3 engine in our inventory to be an exact OEM replica. 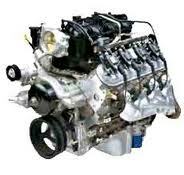 We custom build our own inventory and follow the guidelines that engine buyers expect during the build here at https://www.remanufacturedengines.co. The Vortec brand was created in the mid 1980s and has been used in different variations since. Most of the 5.3 series motors ended production after 2007 to make room for the new V8s. Finding the 5300 series in used condition is possible although these editions usually have high mileage. When you buy rebuilt, you don’t get erasure of the mileage but you get quality. What you get is a completely reconditioned motor that operates like new. The ones that we build inside of our own facility receive the highest quality of testing that is possible for secondary market edition. You get exactly what you pay us for when you make a purchase here. You pay for true specs and that is what you get. We follow all of the rebuilding guidelines that are required. This is done perfectly to assure all buyers that use this Vortec series of the outcome. Our in-house team of engine builders knows the 5300 series. This is not the only GM produced motor that is built here. We have most of the classic and current lineup. We understand the technology and know what buyers demand. The Chevrolet specs are always tested and approved before the completed motors are put up for sale online and added to our inventory. It’s not all about specs though. Part of our package includes a warranty that many sellers leave out. This warranty is designed to protect you for up to 36 months. This means our parts installations and the labor that is performed by our mechanics is protected. These unlimited mileage warranties are almost unheard of on the Internet. The customer commitment we have as well as the love of General Motors makes this possible. As a new or existing customer, we take care of any issues that might come about after your installation. We pride our company in having the lowest rate of warranty repair work around. Parts can and do fail and this is beyond our control. We’re always first to respond if something should happen during the time period of your extended warranty coverage. You can instantly know about our sale pricing when you call our toll free telephone number. We employ a staff of specialists that help you when you call. These are not secretaries or call center employees. If you prefer no assistance, you can easily obtain the same information using the Chevy quote system we’ve built online. Let our system do the work for you and you review our pricing before placing a rebuilt engine order. © 2019 Remanufactured Engines. All Rights Reserved.